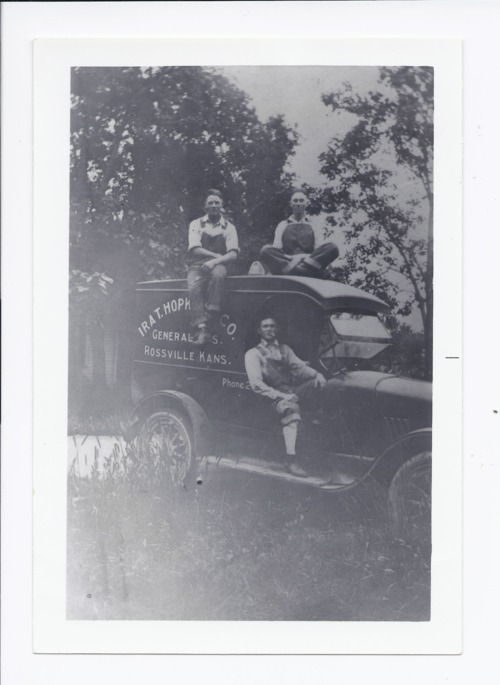 Around 1925, Ira T. Hopkins started his grocery business in Rossville, Kansas. He sold it in 1931, later buying it back and then selling it again in 1945. Orbie Binney is in the delivery truck. This photograph is provided through a pilot project to host unique cultural heritage materials from local libraries on Kansas Memory and was accomplished by mutual agreement between the Northeast Kansas Library System, the Rossville Community Library, and the Kansas Historical Society.